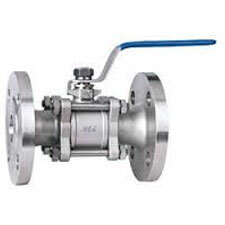 AMTECH SS THREE PIECE BALL VALVES can quickly and simply be fitted with a pneumatic, electric or hydraulic drive, even when they are operating. The wide range includes the right ball valve for just about every conceivable application. They are available in various materials, like CS, SS, Gun Metal, Aluminum etc.